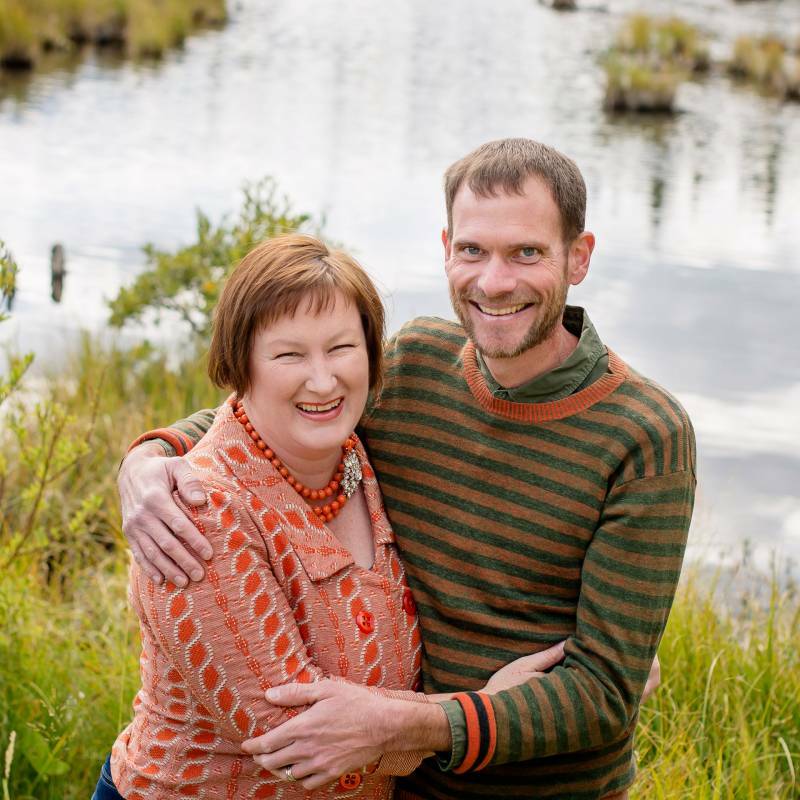 It has become a bit of a tradition that during our busy wedding season we steal away for a couple of nights for an unplugged staycation to refresh and enjoy some quiet time with our dogs in the mountains. One of the cabins we used to stay at is no longer pet friendly and another favourite place installed wifi after demands from guests so I started to research some other potential spots we could get away for an unplugged staycation in the mountains. Kevin and I packed up our dogs Leroy & Mabel and drove 30 minutes from Canmore to Sundance Lodges to stay in a tipi for 2. It was glorious! One of my favourite features of Sundance Lodges is the way they have set out the lots. It feels very private with spots set out further apart than most campgrounds and I liked the way ours was set back a bit from the road. A friend recently stayed at Tunnel Mountain campground in Banff and was kept up all night by drunk partying teenagers so I was also thankful for the quiet stay we had at Sundance Lodges who emphasize that they are a family friendly spot and that there are quiet hours from 10:30pm - 8am. We stayed during the week and it was super quiet which I cherished. Our tipi for 2 came equipped with platform beds with foam mattresses that we could make up with our own bedding. It felt luxurious. They provide propane lanterns and a hook to hang it in your tent. We brought our own LED lamp and hung it. There is also a heater in your tipi!! We ended up not using it but it felt pretty fancy to have a heater as an option for cold nights. Sundance Lodges has everything you need for a pampered camping experience. Starting with real flushing toilets! There are toilets & showers and their trading post is well appointed with the most common items campers would forget. For example I remembered to bring tin foil but forgot to check how much was in the box so I was able to buy a roll of tin foil at the trading post when my roll ran out before I had finished wrapping all the baked potatoes. We forgot our tongs at home which would of essentially rendered our plans for a steak dinner useless but thankfully the trading post had beefy tongs we could rent that saved the day and helped us in making the best steak I've ever eaten. The trading post rents all of the essential camping supplies if you'd like so it's a great way to try camping with your family without a big initial investment in gear. The store also carries a lot of the camping essentials you may have forgotten and it's nice to be able to get a cold drink or an ice cream sandwich when it gets hot out. There's a horseshoe pit and a volleyball net with balls available to sign out in the trading post. Kids were playing soccer on the big green lawn when we checked in. Because we were car camping and the car was parked mere feet from our tipi we could take all of the luxury items from home for our glamping staycation. The pups were very happy with their arrangement. A mere 2 minute drive away is the trailhead for Troll Falls. It's an easy and beautiful hike in to the stunning falls. The morning we went we were lucky to be the only ones there on what was described to us as a really busy trail and there was a rainbow on the waterfall. We were there on a Tuesday morning which may be why we avoided the crowds. It's the perfect for taking your kids as it's a wide pretty even trail and not too far for young hikers. The secret to the best s'mores is in the chocolate you choose in my opinion. I picked up a pack of these sea salt & caramel chocolate squares from Le Chocolatier which were perfect for s'mores. Upper Kanananskis Lake is a beautiful 30 minute drive away from Sundance Lodges. 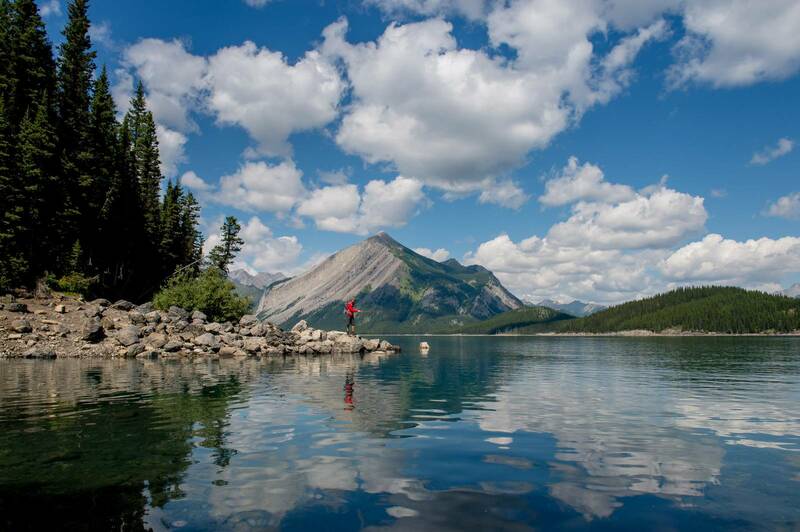 It's perfect for a canoe or fishing and the hike up to Rawson Lake is stunning. We walked down to Beaver Ponds for evening walks with our dogs from our tipi. Kevin makes the best camp coffee. 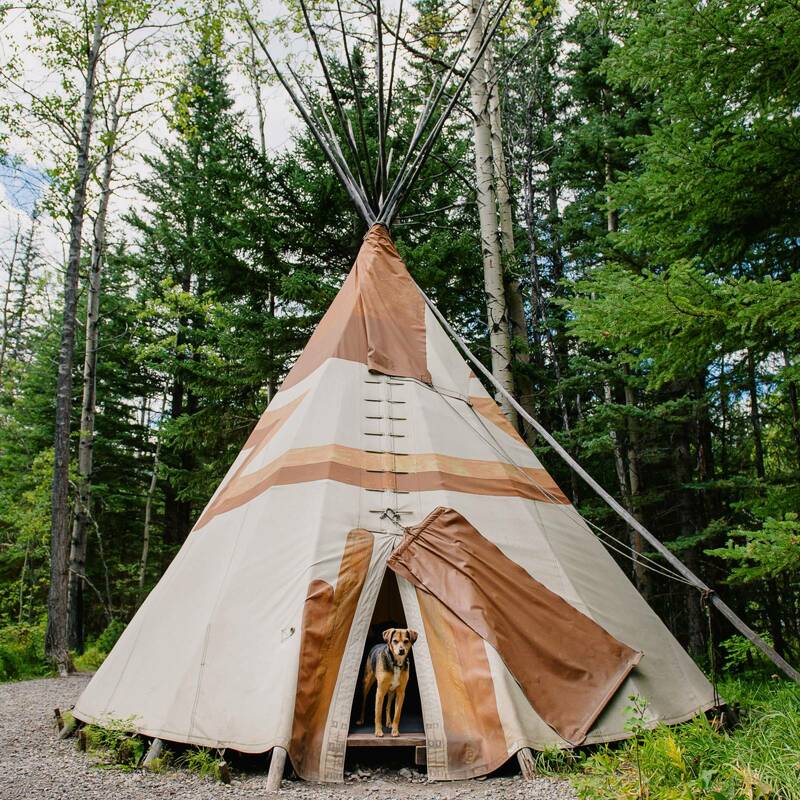 In addition to tipis you can rent these canvas tents that they call trapper's tents that have 4 twin beds in them so they are perfect for families. I think it would be amazing for a couple to elope in one of these canvas tents. I imagine it draped in greenery and flowers with twinkle lights hung throughout. I have to say Highway 40 has got to have some of the most amazing views you'll see. The highway drive is beyond beautiful and worth the trip alone. We saw big horned sheep and a couple of bears on our trip. A friend of ours gifted Kevin a Tenkora flyfishing rod that telescopes down into a tiny bag so it's perfect for hiking. We hiked up to Rawson Lake so Kevin could practise casting and spent a lovely afternoon by the lake. We absolutely loved our tipi staycation and can't wait to return again.